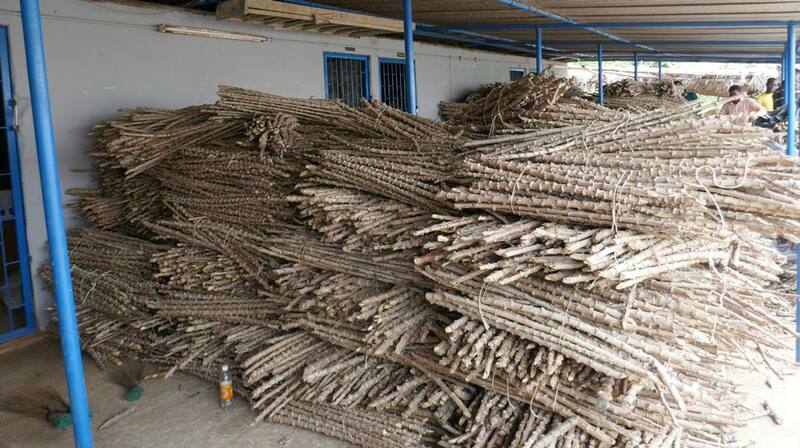 The Republic of the Congo recently acquired 82 tons of cassava plantlets from IITA to be used in establishing the new national cassava program. This came as a result of a visit by the Director of the Congo-Brazzaville Agricultural Factory, Mr Sam Kasu, who was on a month-long exploratory tour of the IITA Ibadan campus. During the visit, he also requested that the IITA GoSeed module be replicated in his country as CongoSeed to advance agriculture in the region. The visit explored the use of new technologies to improve cassava productivity and ensure that the newly implemented National Cassava Program launched in Congo- Brazzaville would significantly impact the lives of the people, as cassava is a staple in the country and is used in manufacturing to make confectionary. 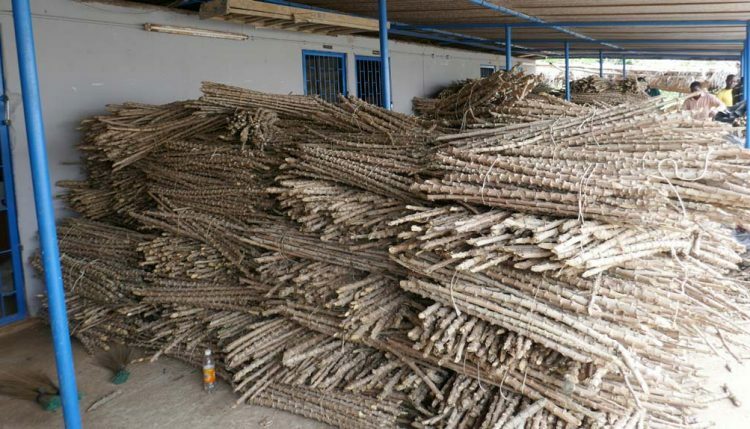 As Kasu noted, “Farming is a business itself and it plays a major role in food production.” The possibility of having sustained cassava production will be enhanced by disseminating improved cassava plantlets into the hands of smallholder farmers. He added that successful farming requires one to have a good background and knowledge of business to get commensurate “economic value” of the work done. “Traditional ways of farming will result in loss of money but using business principles, one can see that farming is a business itself,” he said. Although his mission was primarily to purchase improved cassava varieties and to acquire knowledge that would help increase the standard of living of people in Congo-Brazzaville, Kasu acknowledged that he had learned more than he had expected. “I was impressed with the new technique for cassava propagation called Semi-Autotrophic Hydroponics (SAH). To achieve our goal of setting up a good cassava program, we need IITA’s support in providing improved seeds, because good seeds promote agriculture. As part of the government’s plan to improve and sustain the entire agricultural value chain especially cassava, we would like to collaborate with IITA in replicating the IITA GoSeed initiative to CongoSeed for the efficient implementation of our mandate,” he said. He thanked IITA Director General Nteranya Sanginga, as well as Deputy Director General, Partnerships for Delivery, Kenton Dashiell, for their warm reception and enormous support in contributing to the improvement of cassava in Congo-Brazzaville. “I am very happy to see that IITA is ready to help Congo-Brazzaville set up a good agricultural seed company. From what I have seen, I am certain that this collaboration will yield good results and impact positively on the lives of the people especially the smallholder farmers within the region,” he stated. During his visit, Kasu interacted with the scientists and many other IITA personnel who took him on a tour of the Institute’s facilities. He took note of the IITA Youth Agripreneurs scheme, asserting that he would recommend youth and people working on any cassava value chain to visit IITA and acquire knowledge for the general improvement of agriculture. He also visited Niji Farms, an IITA partner enterprise in Oyo, and from these visits saw how farmers are carrying out mechanized farming on large tracts of land, using less labor and making more profit. He also said that the garri making machine is one of the automated machines he would like to bring back to Congo. He said that the President of Congo- Brazzaville, Denis Sassou Nguesso, remained committed to the successful implementation of the national cassava program. This was underlined when he sent two cargo planes to Lagos to assist with airlifting the planting materials that were purchased for Congo-Brazzaville.